The ‘original modern city’, Manchester is the home of re-invention and vitality. A quick look around and you’ll see a thriving European city that is modern and ever-evolving. However, a look into the area’s eventful past and it’s easy to understand just why Manchester is, how we know it today. Famously described as, “the belly and guts of the nation,” by writer George Orwell, Manchester was the original city of manufacturing. At the heart of the industrial revolution, Manchester became one of the richest cities in the world after the creation and development of the Manchester Ship Canal in 1894. 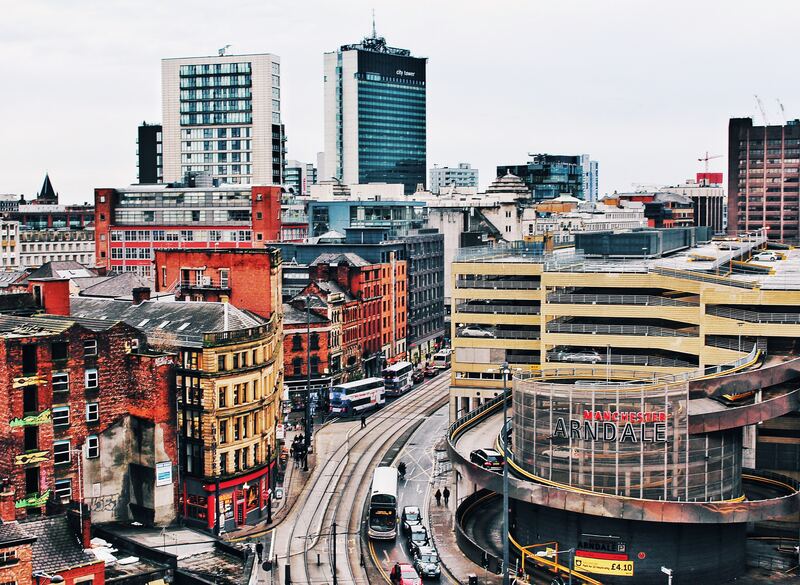 Designed to boost morale and create jobs after the long depression, the city put its full focus on ensuring that Manchester was a better place to be. With it came the Port of Manchester, which soon became one of the busiest ports in the UK – despite facing the difficulties of being 40 miles inland. Today, Castlefield is still home to the remains of a Roman fort. Until the late 18th century, Manchester had been a relatively small market town called Mamucium. However, the arrival of the Bridgewater canal during 1761 and the cotton importation and newly revolutionised textile industry meant the city was to drastically change. By the 19th century, Manchester was a thriving hub of capitalism. However, as with any history, Manchester’s was not without its fair share of problems. The late 19th century saw political agitation lead to the Peterloo Massacre. On 16th August 1819, a crowd of over 60,000 met at St Peter’s Field, now the site of the Central Library. Seeking advice and answers, they called on the Yeomanry. Ordered to attack, 15 people were killed and more than 600 people were injured. As you wander around the city, much of Manchester’s history can be seen in its historic buildings. The Royal Exchange was once the home of the city’s cotton traders and Cheetham’s library is said to be the meeting place for Marx and Engels. It’s also obvious how proud Manchester is of its history – one of the most impressive tales being that of Emmeline Pankhurst, who fought for women’s votes and grew up on Nelson Street. Manchester is also packed with modern history after a city-wide redevelopment following the devastation of an IRA bomb in June 1996. Areas such as New Cathedral Street and Exchange Square were redesigned and recreated after the bomb wrecked parts of the city. A city which embraces anything new and unique, Manchester is truly incredible. Boasting its very own film industry in the 1930s and 40s as well as the first broadcasting of Top of the Pops in Didsbury’s very own BBC studios, Manchester has always been at the forefront. And while, we might not own a phenomenon as big as Liverpool’s Beatles, Manchester’s musical history is equally impressive.